University Council member Joanne Stuart OBE. Dr Joanne Stuart OBE is the Director of Development at Catalyst Inc (previously known as the Northern Ireland Science Park). In this role she is responsible for the development of strategic relationships to support the growth of Catalyst Inc and the Knowledge Economy in Northern Ireland. A former Chairman of Institute of Directors NI (2008-2011), Joanne chaired an independent review on University fees, at the request of the Minister of Employment & Learning, which led to a published report in February 2011. From 2011 to 2016, Joanne was the Northern Ireland Champion for STEM. Achievements included the introduction of the biannual STEM Careers & Courses Supplements, provision of work experience placements for Careers Service advisors and the creation of the STEM Charter for Business and the STEM Employers Equality Network (SEEN) in partnership with the Equality Commission NI. Since 2010, Joanne has been the NI chair of the US-NI Mentorship Program, established by former Economic US Envoy to NI, Declan Kelly. The program provides challenging paid yearlong placements for recent graduates with global corporations in the States. 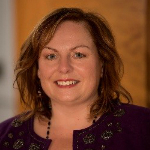 Joanne is currently involved in a number of Boards and Trusts – she is Chairman of Arts & Business NI, Treasurer of Angel Eyes NI and Treasurer of Tides Training. She is also an Ordinary Panel Member of the Competition Appeal Tribunal in London, appointed by Secretary of State for the Department of Business, Innovation and Skills.